This dip would be great for a party (although you should probably double the recipe if you’re serving a big group)…but it’s good just for two, too! Process cream cheese and salmon in food processor until smooth, stopping to scrape down the sides. 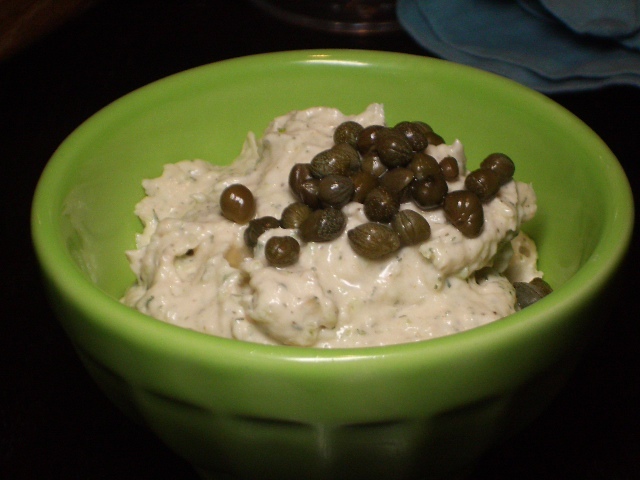 Add celery, pepper, caper juice, and dill, and process just until combined, stopping to scrape down the sides. Transfer to a bowl. 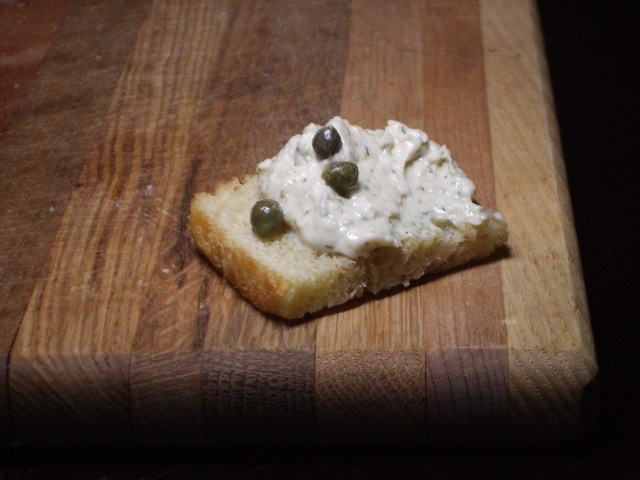 Garnish with capers. (This will keep in the refrigerator for 2 days). Serve with crackers, toasted baguette rounds, bagel chips, or toasted pieces of Uncle John’s Bread!